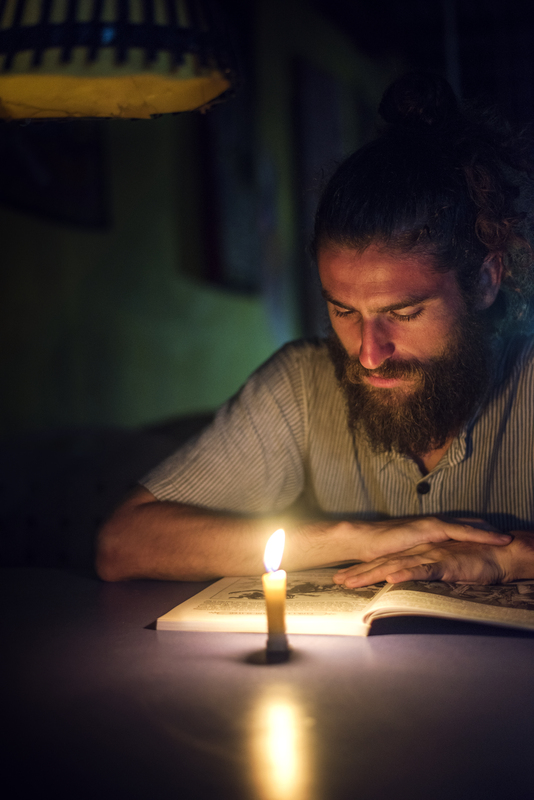 ‘Hippie’ in the urban dictionary is defined as a person who is typically young, believes in peace, is opposed to many of the accepted ideas about how to live, has long hair, and often lives in groups and does nothing. Have you ever been on a holiday and done nothing? 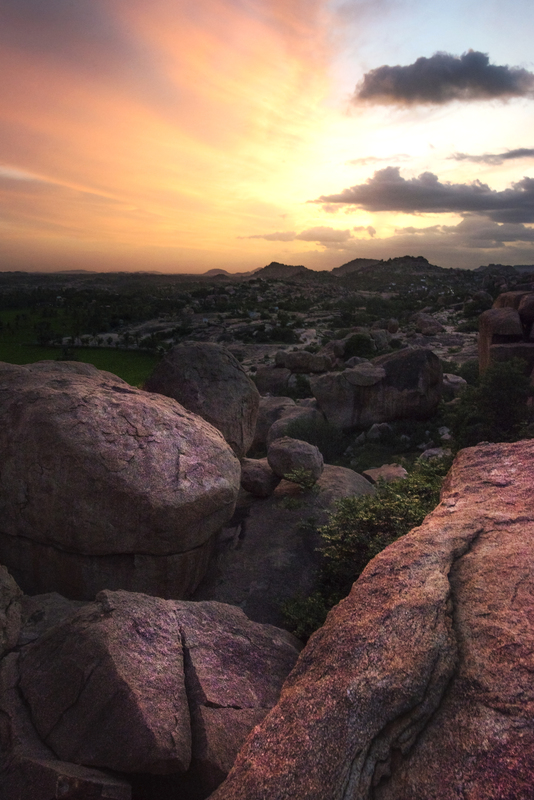 If you haven’t, Hampi is the place to be. 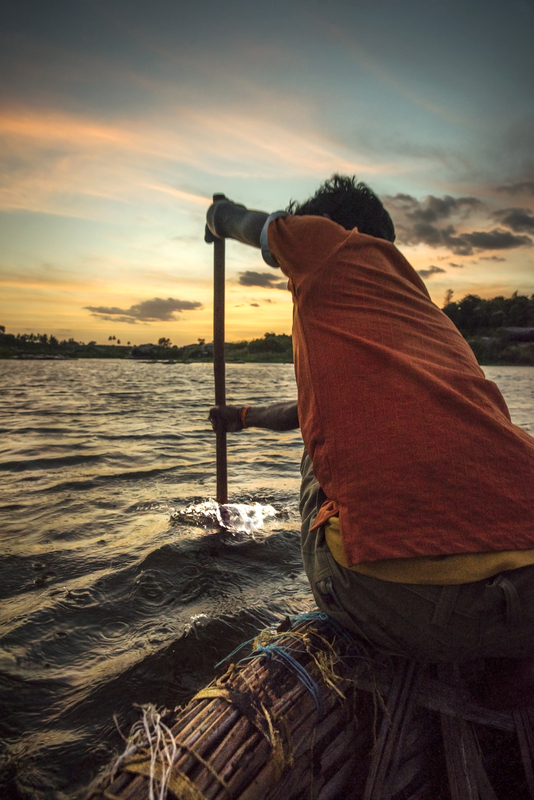 Hop onto a boat for Rs.20 at Hampi and reach the north side of the river unofficially termed as ‘The Hippie Island’. You will meet locals who speak fluent english, restaurants that serve international food and travelers from all over the world but mostly Israel because of the proximity. Your holiday away from internet access, mobile network, ATM’s and city life begins. 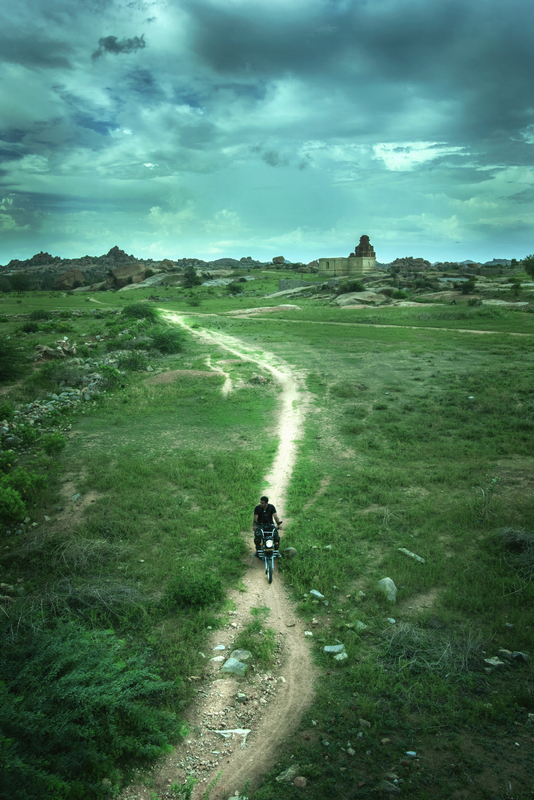 Apart from sipping on beer and smoking some greens, here is how you can do nothing and be free-spirited in Hampi. Mopeds can be hired on either sides of the river so hire one on the North. This two wheeled motor vehicle is super fun to ride across town. Cafés here are a different experience. Some have no seats, no tables, some have low lighting. You will also never have to visit a cafe more than once. There are 60 odd cafés owned by Indians and foreigners alike. You will meet interesting travelers here who have stories from across the world to tell. If you want luxury, the hippie life is probably not for you. If beautiful sunset views is what you like, then these huts provide such vistas in every direction. 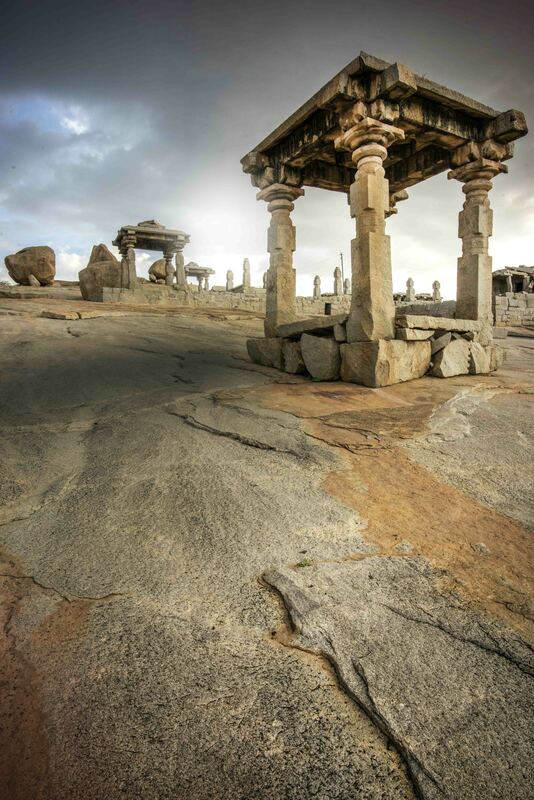 Hampi is known for its geology. The boulders are one of the oldest surfaces on earth and have many stories to tell. The hills and boulders made for great hide outs for kings. Avoid bouldering during monsoons. In 2003, Chris Sharma featured in a documentary called Pilgrimage. 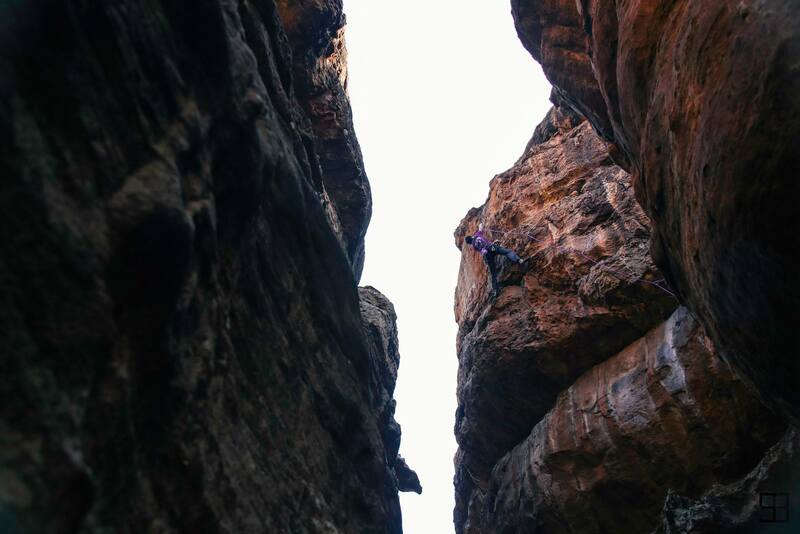 This video put Hampi out on the map as a haven for boulderers. 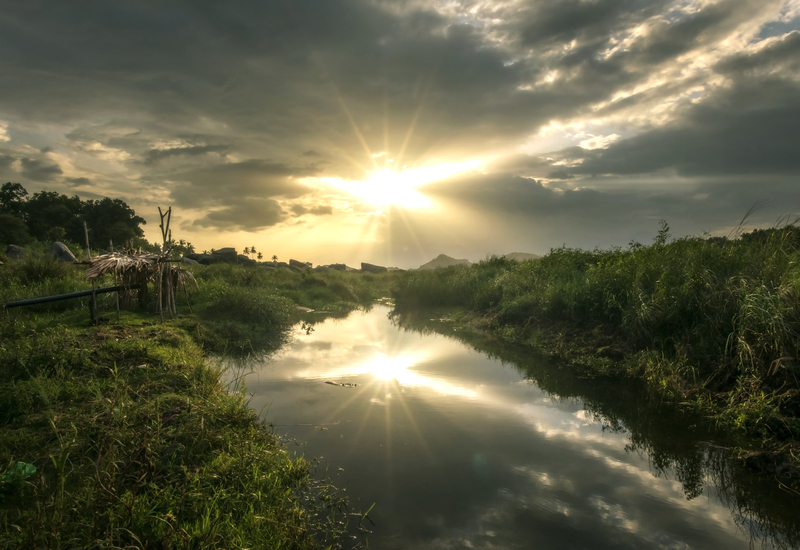 Hampi is also known as a backpackers paradise. There are many viewpoints that one can climb and are easy to spot because there are a group of people everywhere. Such groups often break into jam sessions during the sunset. For a budget traveller beautiful views and free entertainment is more than he can ask for. You will find many water bodies around the Hippie Island. Most of the water bodies have a sign that says unsafe to swim. No points for guessing who you will find swimming in these waters anyway. Every corner in Hampi has a story to tell. It is recognized as UNESCO’s world heritage sights. 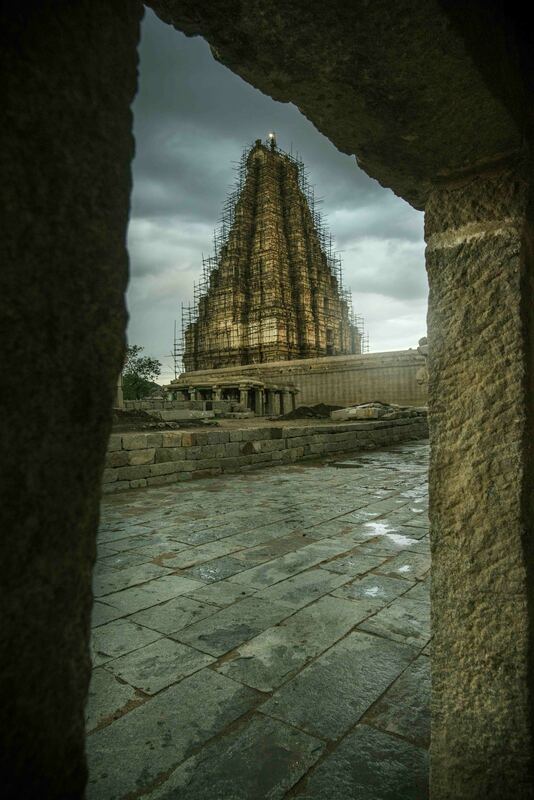 The Global Heritage Funds is actively involved in conserving Hampi’s unique cultural heritage. Lastly, feel TheVibe of the place. It is difficult to list down experiences when the entire place is an experience. ‘Everybody tours, very few travel’ was the mantra TheVibe was built on. So don’t just visit Hampi, absorb it. About Moving Images: TheVibe’s ambient visual slow punch to the heart. 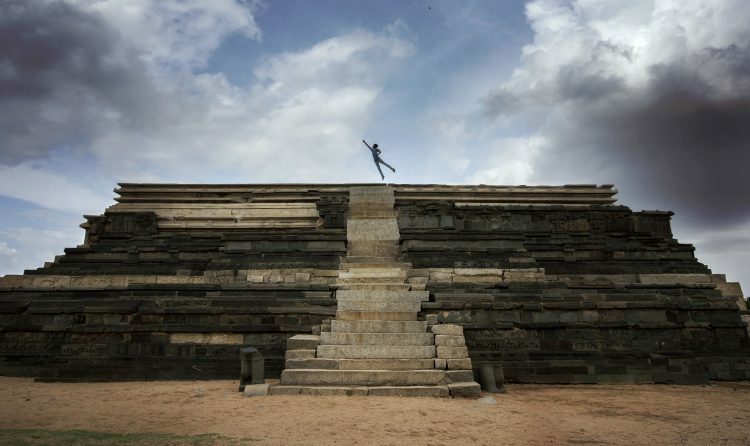 This week on TheVibe – Hampi | Moving Images | TheVibe Visuals. 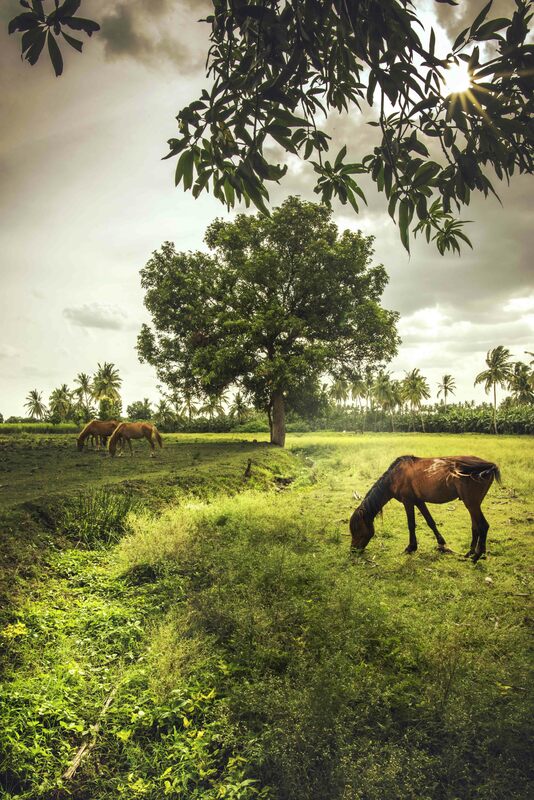 Wonderful compilation, excellent photography & tempting everyone to feel the vibe of Hampi.